Not every story behind a beautiful cover has a happy ending. Whole lives are destroyed in a matter of seconds due to an angry, impulsive action. Suzan Dunn, a middle-aged adjunct college professor, was born to a teenage mom in an ocean cottage on an amusement park strip. Her life was that of an ordinary 3-year-old until her father murdered her mother in their kitchen. But truly, her life was destined for this tragedy when her mother, Linda Dubie, first met her father, Danieal Ahearn, at the amusement park her parents owned. While Danny’s life was changed for the better at this chance happenstance, Linda’s would be cut short by his explosive temper and jealousy. He could never come to terms with her choice to be with him when she was so beautiful and that any guy could have her. “Gone So Long” is beautifully written and utterly tragic, and this story does not have a happy ending. 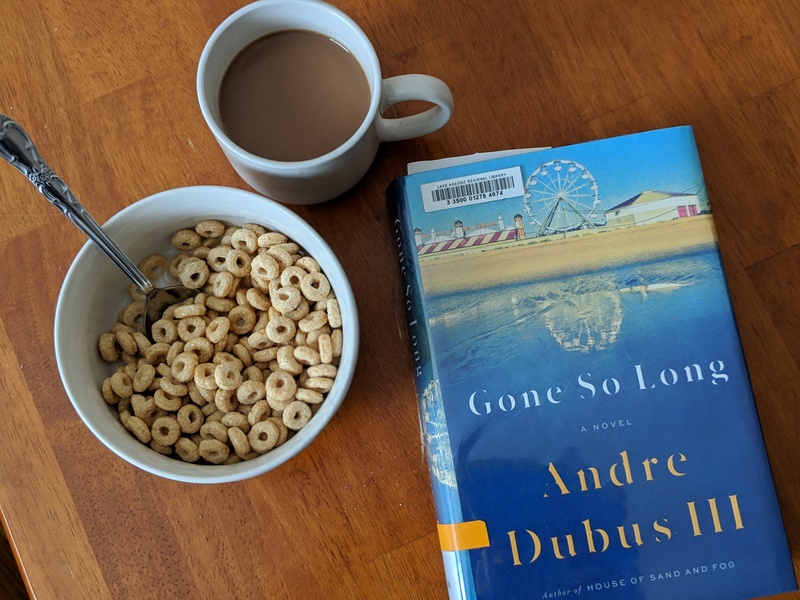 Andre Dubus III’s format was interesting, and the book was jam-packed with artful script from cover to cover; the chapters flowing endlessly from one to the other. “Gone So Long” is a slow burn that takes some getting used to. It was difficult to dive into the story, but once the story got going, the book was impossible to put down. The story illustrates Daniel’s journey to reunite with his daughter after having no contact with her for nearly her entire life. The clock is ticking for Daniel, as he was diagnosed with prostate cancer, and he refused treatment. As he ventures from New England to Florida, his daughter is unaware of their upcoming meeting. That is until her husband delivers a letter from Daniel that he mailed to the college she works at. Throughout the story, I was pulled between feeling sorry for Daniel and understanding Suzan’s hatred for him. Suzan is pulled in every direction — between her wonder and abandonment from her father, her love for her slain mother and the grandmother that raised her, her husband and herself. I was hoping for a happy ending and a resolution for both Suzan and Daniel, but unfortunately this was not the case. Daniel died without ever telling his daughter that he loved her and knowing that he was a soon-to-be grandfather. When I closed the cover on this tragedy, I ultimately felt heartbroken for Daniel at his unfortunate life.